The heated debate over the incompetence or otherwise of the Nigeria Police Force will not subside anytime soon. At the weekend, three global think tanks confirmed the worst fears of Nigerians yet again with a report that rated the country’s police as “the worst globally.” In response, the police authorities issued a swift rebuttal, apparently without dissecting the salient points in the report. This newspaper is, however, not surprised by the rating. As currently constituted, the police structure in Nigeria is anachronistic. One police force servicing a country of 180 million people with many nationalities cannot deliver any tangible result. The report, conducted by the World Internal Security and Police Index, and issued by the Institute for Economics and Peace, and the International Police Science Association, touched on four main categories. It described the police as lacking the capacity to provide effective internal security. Out of 127 countries ranked, our police scored 0.255, falling behind the Democratic Republic of Congo, Kenya, Uganda and Pakistan, among others. “In terms of process, legitimacy and outcomes, the story is not different, which makes the Force fall short of the required standard,” the report, which covered 2016, stated. For most Nigerians, the report is uncannily accurate. The police are seen as a force of occupation, who, with untrammelled impunity, often deploy their weapons to intimidate and oppress them. Although bail is free, that is only in theory. An average policeman appears beggarly; many of them drink on duty. Many of their operational vehicles exactly portray what they are: disorganised. A former president, Olusegun Obasanjo, blamed the rot partly on the recruitment of criminals into the service. As a result, armed robbers, kidnappers, street gangs and Islamist terrorists are having a field day. A former Inspector-General of Police, Sunday Ehindero, once declared that many recruits between 2000 and 2004 were criminals. Though state governors inject enormous resources into the police, crime proliferates in every part of the country. Criminals operate for hours on end in our neighbourhoods and on the expressways, the police often claim that they do not have operational vehicles. Kidnappers have made the Abuja-Kaduna Expressway a nightmare for travellers, abducting 20 travellers in a broad daylight operation last June. Armed robbers and kidnappers have also rendered the Emohua corridor of Rivers State almost impassable to travellers, having waylaid, robbed and abducted them serially for most parts of the year. In Lagos, traffic robbery is on the upsurge again in Oshodi, Ikeja and on the Third Mainland Bridge. On Tuesday, robbers and policemen robbed commuters on the Lagos-Ibadan Expressway/Third Mainland Bridge corridor. Using excessive or disproportionate force, the police kill innocent people regularly when they refuse to bribe them. Victor Emmanuel, a student, was shot dead by a police officer in 2011 in the presence of his mother at a checkpoint in Yenagoa, the Bayelsa State capital, for questioning their alleged bribe collection. Therefore, it is provocative for the police to deny the obvious. 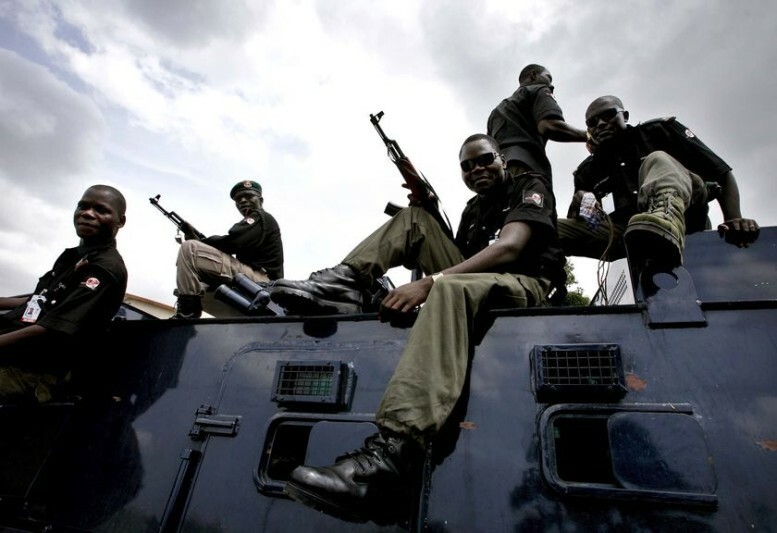 Their rebuttal falls flat against the backdrop of an admission of the stench in the system by a former IG, Mohammed Abubakar, in 2012: “The Nigeria Police Force has fallen to its lowest level…police duties have become commercialised and provided at the whims and caprices of the highest bidder…justice has been perverted, people’s rights denied, innocent souls committed to prison, torture and extrajudicial killings perpetrated.” The NPF’s mantra that the United Nations has adjudged it the best force in the world in foreign operations is a red herring. It misses the point because internally, the truth is that there is little policing in Nigeria. In Edo State, a professor of engineering, Paul Otasowie, was murdered in front of his house as he returned from work in September, while a popular musician, Joseph Osayomore, spent over a month in kidnappers’ den, and his wife was shot in the head. The payment of ransom is now standard fare around here. Abayomi Shogunle, the head, Public Complaints Rapid Response Unit, said on Monday that the Force received 7,216 complaints of professional misconduct against its officers in the past two years. Although the police claim to have over 370,000 personnel, no IG, including the incumbent, Ibrahim Idris, has been able to resolve the sickening issue of the deployment of over 110,000 police officers to protect VIPs, other individuals and corporate organisations. The latest abysmal ranking only confirms the August 2017 survey report of the United Nations Office on Drugs and Crime, and the National Bureau of Statistics that the police ranked highest (46.6 per cent) bribe takers among public institutions in Nigeria in 2016. Withdrawing this category of officers and redeploying them to core police duties will aid police efficiency, and enable Nigeria to get close to the UN ratio of 1:300 police to citizen standard. Sadly, other countries are leaving Nigeria behind by devolving policing. In the United States, which is a federal state like Nigeria, there is no national police force. In all, there are over 40,000 police forces there, including the city police (possibly with separate departments to deal with schools, traffic and even refuse), county police, transport police, sheriffs’ departments, state police (state troopers) and highway forces such as the California Highway Patrol. The New York Police Department was established in 1845; the Chicago Police Department in 1855; and the Philadelphia Police Department in 1828. Indeed, it is a misnomer in a federal system of multi-cultures and nationalities to operate a unitary policing formula. In Australia, one of the safest places in the world, apart from the federal police, state and territorial police services have the responsibility for community safety and protection. They preserve the peace, uphold the law, prevent crime, provide assistance in personal emergencies, coordinate, and manage emergency incidents. They also enforce road and traffic rules, investigate crimes and deal with missing persons reports. Insecurity will not reduce in Nigeria until the police are reformed in line with federalist principles. It is high time we cast away the unfounded fear against state police. The argument that state governors will abuse police power is out of place in the face of rising criminality. Governors, who are funding police operations and the civil society, should campaign for a change of the present structure. Ideally, states, local councils, communities, educational institutions and public facilities like markets should be able to recruit, train and own their own police forces for effective security of lives and property.